Is DUI a Felony in Wisconsin? - Crooks, Low & Connell, S.C.
Is DUI a Felony in Wisconsin? Most people are aware of what’s at stake if they are caught drinking and driving. 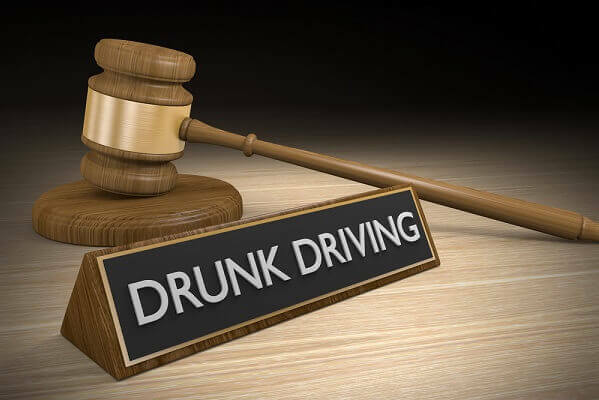 Besides the dangers associated with drunk drivers, you also face a number of fines and penalties if you end up with a drunk driving charge in Wisconsin. In fact, there’s a chance that your Driving Under the Influence (DUI) charge could end up costing you much more than you think. Whether your drinking and driving offense is considered a felony is dependent on just how many times you are caught driving under the influence. In most cases, if it is your first DUI offense, it’s most likely a civil offense, not a criminal offense. However, after your first offense you face more severe penalties, including the possibility that your DUI becomes classified as a felony. Once you have reached your fourth DUI or Operating While Intoxicated (OWI) offense, you face a felony and all its attached penalties. Furthermore, you could be required to attend an alcohol treatment program, or install an ignition interlock device. This is in addition to the damage it causes to your reputation, and the additional cost of increased insurance premiums. A felony DUI charge can include penalties such as fines up to $10,000, three years revocation of your license, and up to six years of prison time, in addition to the installation of an ignition interlock device. In any event, a DUI charge should be taken seriously. There is every potential that a drunk driving charge, whether it’s your first or fourth, can change your life drastically. Disclaimer: This Article Is Not Legal Advice. Never rely on an article for legal advice as the law frequently changes, information may not be accurate, there may be exceptions to a rule, and reliance may be detrimental. Always consult one of our experienced attorneys for competent, current, and accurate legal advice. Unfortunately, many people think their hands are tied when it comes to DUI charges in Wisconsin. They end up choosing to just accept the charge even if they don’t think they deserve it. The truth is, even if you have one or many drinking and driving charges, an experienced DUI attorney at Crooks, Low & Connell, S.C. may be able to help you defend yourself against the charge. If you have received a DUI charge in Wisconsin, let our experienced lawyers navigate the process on your behalf. You might end up with a far lesser charge, fewer penalties, or even dismissal of the charge altogether. To schedule a consultation, call our offices in Wausau, WI at (715) 842-2291 or complete our online contact form today. Crooks, Low & Connell, S.C.
We aim to deliver effective, high-quality legal services in an efficient, personable, and reliable manner. Copyright © 2019 Crooks, Low & Connell, S.C.